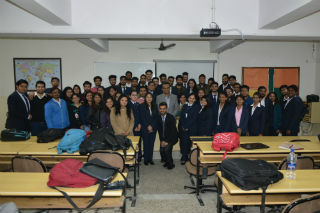 JIMS Rohini organised A special Session on "Thinking towards European Business Integration Model"
JIMS Rohini organised A special Session on "Thinking towards European Business Integration Model" was delivered by Mr. Manish Gupta (Chairman, JIMS Rohini) for PGDM-International Business students on February 1, 2019 . Mr. Gupta started his interaction with the most talked about topic of the times, "The Brexit". 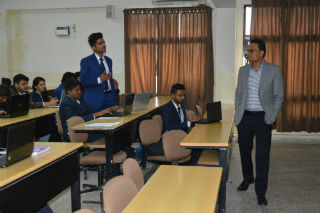 Mr. Gupta enlightened the students with his extensive knowledge about pros, cons and impact of Brexit on European countries during the interaction. Students came up with many interesting questions during the session. 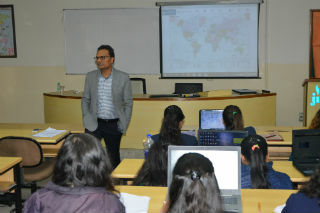 The session proved as a "knowledge bank" for international business students. It mobilized the students to attain more knowledge on topics of international affairs of such kind.